Diane Stortz loves to create engaging books based on the Bible that children want to return to again and again. She lives with her husband of 42 years, Ed, in Cincinnati, OH. They have two married daughters and five young grandchildren—all boys! 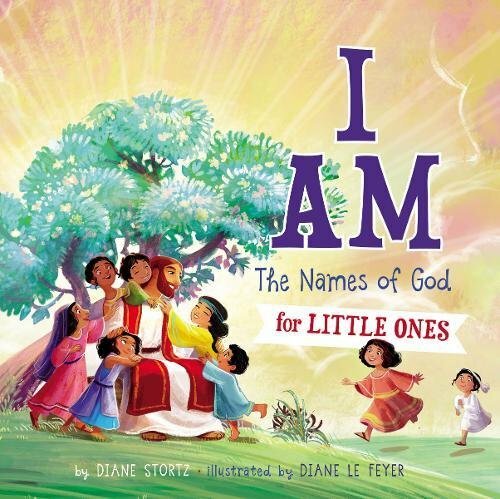 I AM: The Names of God for Little Oneshas short Bible stories, verses, and prayers help toddlers and preschoolers get to know God by discovering the meaning of twelve different names for God, such as Creator, Savior, Healer, Teacher, and Friend. It’s an 8×8-inch board book with a padded cover. Mostly Bible-based books for children. I love connecting children with God’s Word. I’m all about making God’s wonders known to the next generation. My mission is to help people get to know God through His Word, the Bible. I believe everything about our life with God flows from there. I’m not very good with routines, so every day is different. I might get up early to work or stay up late. You might find me in my office or at the kitchen table if I need a change of scene. Probably the isolation. I’m an introvert, but even introverts need to be around people sometimes! I really enjoy meeting parents and children at book shows and other events. I love seeing children’s eyes light up when they first spot my books and their beautiful covers. My grandson’s preschool teacher came to my book launch party and signing this summer and bought fifteen books—for the preschool and for family and friends. She had me sign them all. My books have been translated into Korean, Arabic, Spanish, Finnish, and Africaans. That’s pretty amazing to think about. I enjoy being outdoors, and I love spending time with my five grandchildren—all boys! 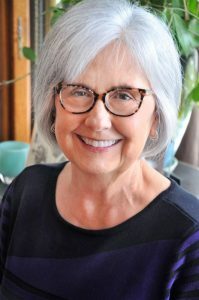 I’m working on a 365-day devotional through the Bible for women that Bethany House will publish in September 2019.I also have a 52-week devotional for busy families coming out in February 2019, with short, active Bible stories, think-and-talk questions, and fun follow-up activities.